As of today, the OliNo website is now available in Spanish: OliNo Energías Renovables. Behind the scenes, we have have been busy to setup a complete new Spanish OliNo website and translate the first articles. Since May 2007 OliNo is busy with professional lamp measurements. The goal is to get more transparancy in the lamp market. To reach this goal we publish the lamp measurement results on our public website. This information is accessible for everybody. 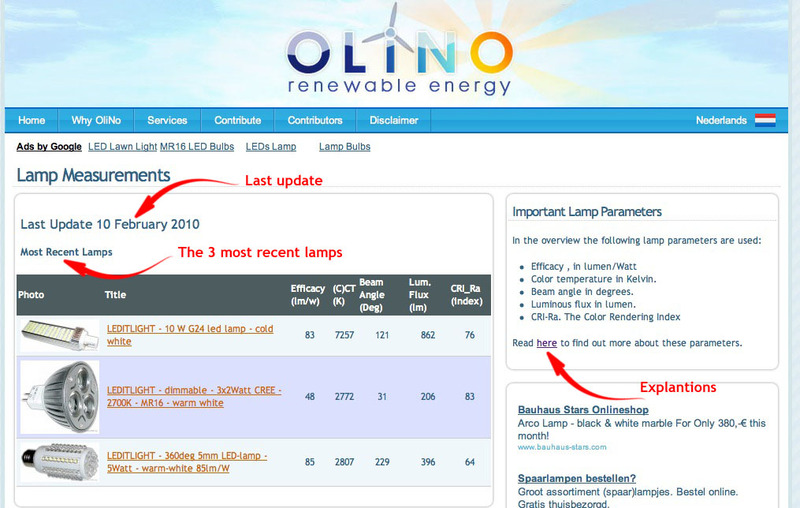 Until now we have published more than 500 different lamp measurement reports on the website. We have so many measurement report now that old overview was way to long to scroll through. So we needed a beter way to view and search the measurement reports. Time for a new lamp measurements overview. We use Twitter te promote interesting news about renewable energy. The more I used Twitter, the more I see some limitations of the system. That may change now; Introducing a new Twitter feature: meta-tracking. Would it not be nice if Twitter would introduce an option to track how many times a certain message is re-tweeted, who was the original owner of the message, show the tags of the message and a readable URL without the need to waste space in the content of the message for it. On Friday, March 20, our Renewable Energy website OliNo was hit by the Slashdot effect. The cause was the story Building Your Own Solar Panel In the Garage posted on Slashdot, linking back to this OliNo site. The impact was huge. 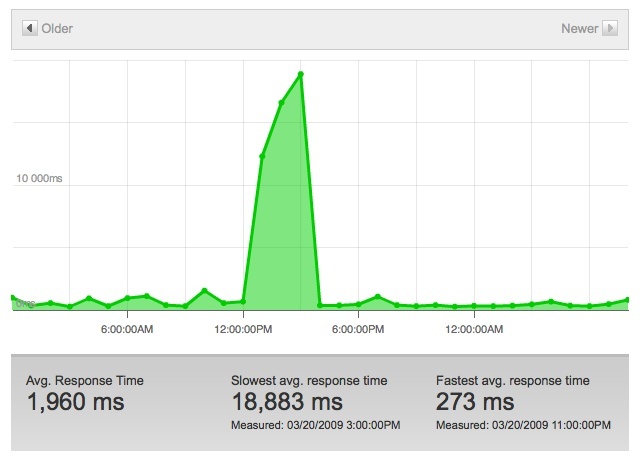 During the Slashdot effect, we received more than 27,000 visitors in a single day. This is a detailed analysis of the Slashdot effect and actions we can take to survive the next hit. 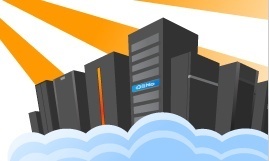 Welcome to the new OliNo server in the computer cloud of Amazon. As you can see, the migration was successfull. With this improvement, see also the article OliNo in the cloud we have made a huge step forwards. 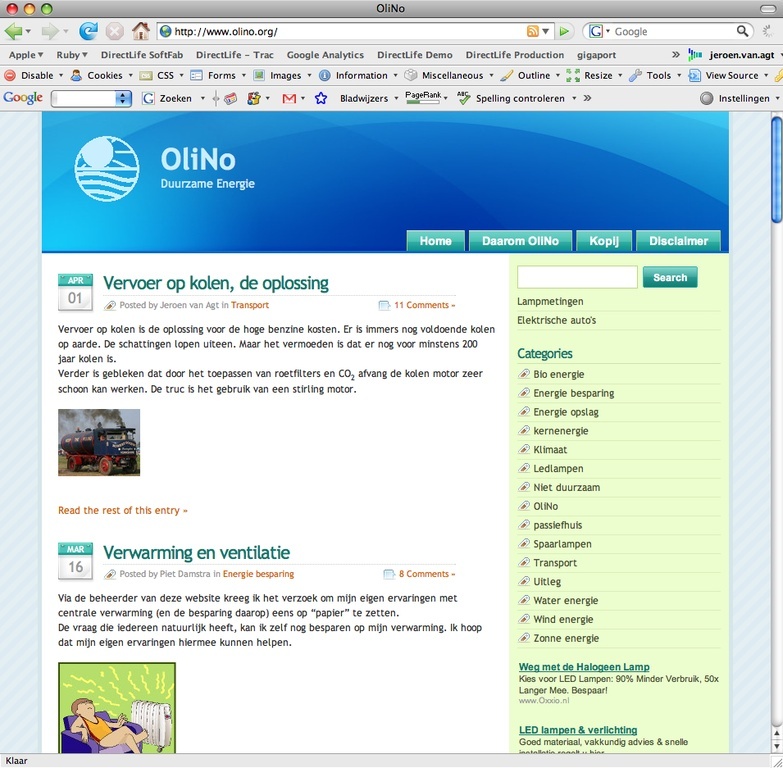 I hereby would like to thank everybody who has contributed to OliNo.org. Without your help we could not have done this. The growth of the number of visitors to our Dutch OliNo website, the launch of this international OliNo website and the continuous growth of the number of articles on the OliNo website is causing performance problems with our current web-server. As a result, loading web pages from the website take some time way too long. Something needs to be done. We have made a decision that we are going to put OliNo into the cloud. 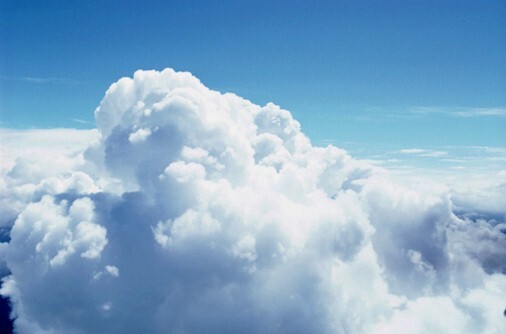 Insiders know this as Cloud Computing. This will result in better performance (read faster website), higher availability of the data and last but not least, a green hosting solution. The migration will happen this weekend (20 December 2008). The original Dutch version of the site.